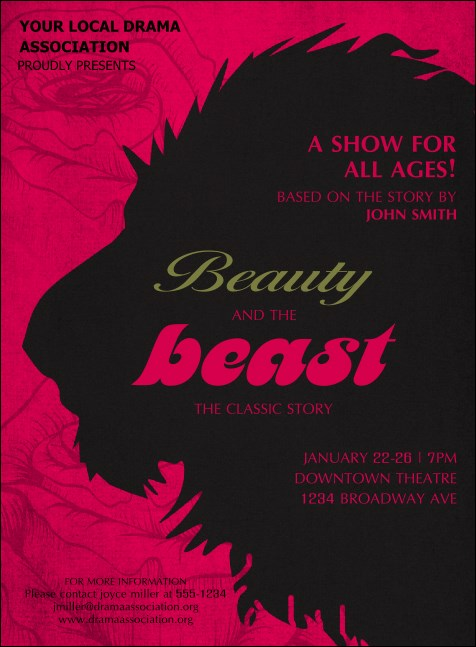 The Beauty & the Beast Invitation practically sings Be Our Guest! Perfect for any production, gala or masked ball, this flamboyantly illustrated invite in black, shocking pink and gleaming gold offers 18 lines for all your info. Raise awareness for every production with the right invitation from TicketPrinting.com!